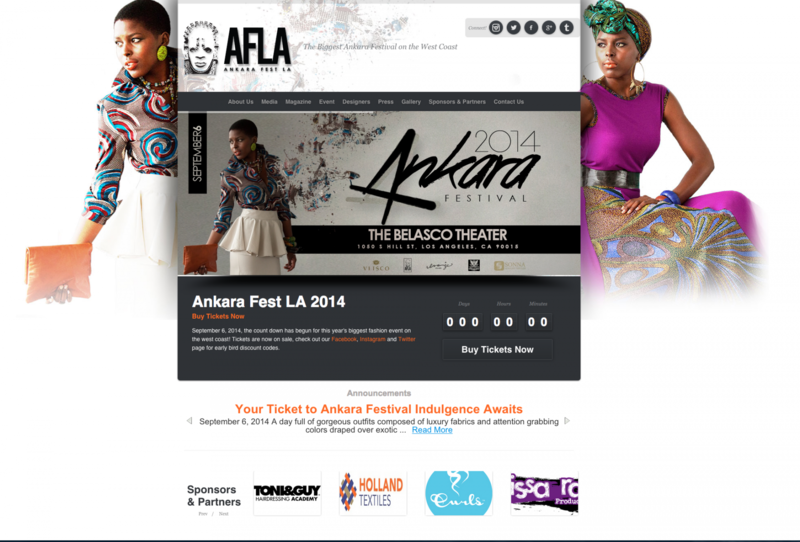 Ankara Festival Los Angeles was created in 2010 with the aim to increase the visibility of African culture through fashion, arts, music, dance and food. The goal is to showcase modern African designs in African print (Ankara), established African and African inspired designers, up and coming designers, who want a venue to showcase what they can do, and also develop their entrepreneurial ambition in the international fashion arena. Nwani Design’s task was to take the brand and design materials and photography already created for the 2014 festival and turn these elements into a matching web presence. The website was built on the WordPress CMS. Screenshot of website design for the 2014 website. 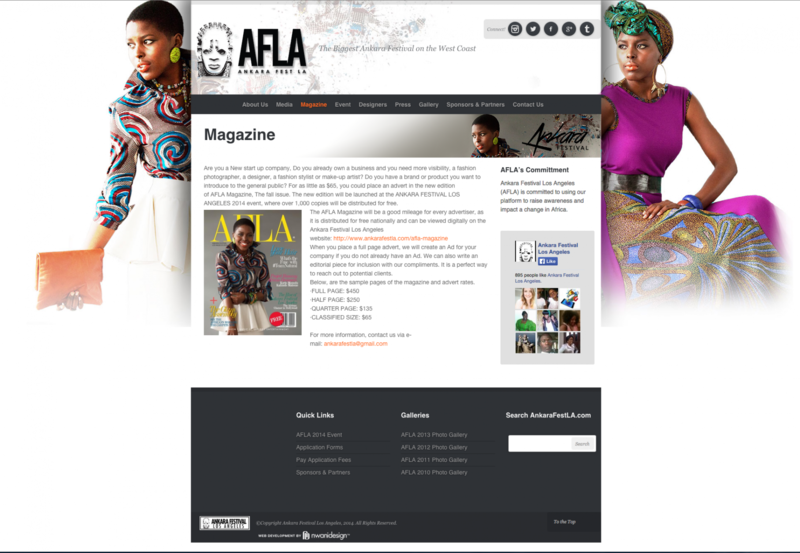 Minimalist website design for award-winning singer and photographer, Ty Bello.